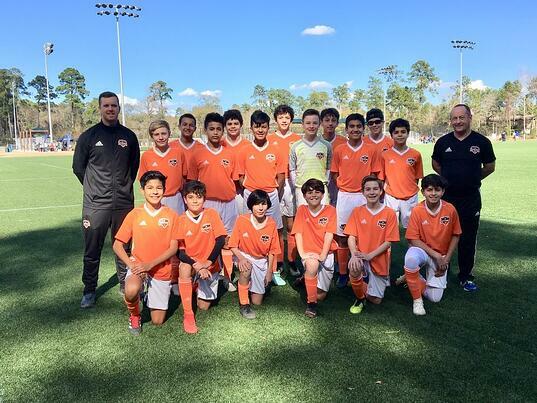 The Woodlands, Texas — (January 28, 2019) The club hosted 90 elite level youth soccer teams in The Woodlands, TX at the 4th annual Houston Premier Cup 2019 at Gosling Sports Park / Bear Branch Soccer Complex. Teams traveled in from across Houston along with the following soccer markets participating - Austin, San Antonio, Dallas, McAllen, Waco and Oklahoma. 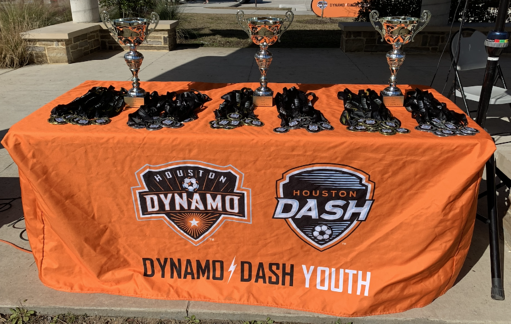 Highly competitive games were played on world class turf facilities at the above sites - home of Dynamo | Dash Youth Soccer Club (north). 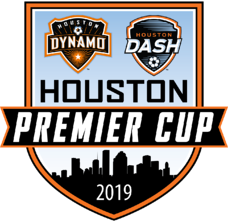 The Houston Premier Cup (formerly Houston Winter Festival) is the number one premier Spring pre-season event in Houston. 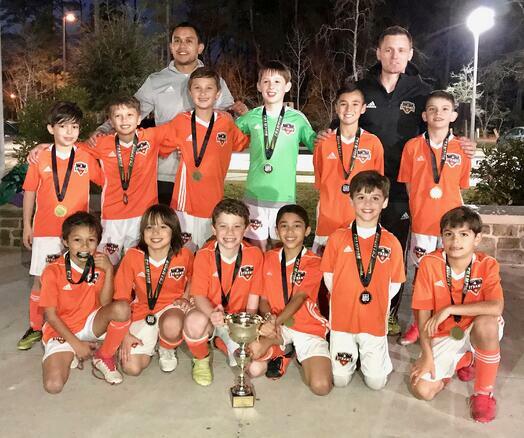 Houston Dynamo Woodlands 09PA - CHAMPIONS! Houston Dynamo 06 City - CHAMPIONS! "I would like to thank all the groups (teams, managers, coaching staff, volunteers and referees) that were connected with the event for their support throughout the weekend. This event allowed teams to prepare for their Spring season on first class playing surfaces in ideal conditions. We look forward to hosting the same event next year in The Woodlands, TX." Andrew Squire, Tournament Director, Houston Premier Cup 2019. Lastly, appreciation goes to The Woodlands Convention & Visitors Bureau for their support with the team welcome packets.